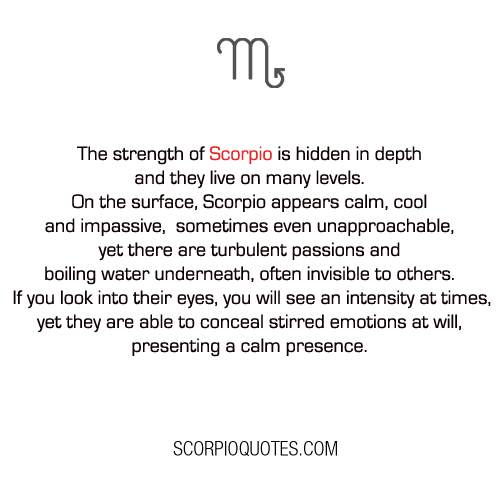 The strength of Scorpio is hidden in depth and they live on many levels. On the surface, Scorpio appears calm, cool and impassive, sometimes even unapproachable, yet there are turbulent passions and boiling water underneath, often invisible to others. If you look into their eyes, you will see an intensity at times, yet they are able to conceal stirred emotions at will, presenting a calm presence.